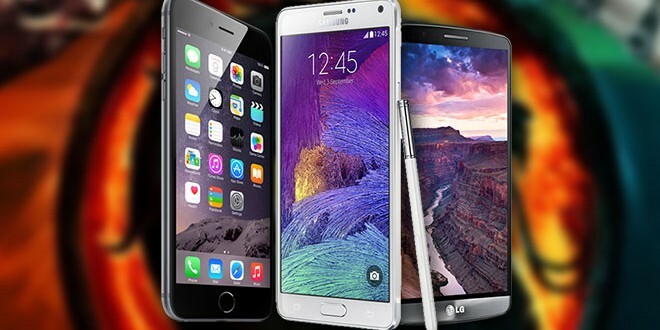 The iPhone 6 Plus vs Samsung Galaxy Note 4 vs LG G3 was definitely one for the books. Now we're looking forward to the next chapter: LG G4 vs Samsung Galaxy S6 vs iPhone 6S. CES 2015, one of the most important tech events of the year is currently in full swing, with most of the big players from the industry lining up to show us all their latest innovations. When it comes to smartphones though, a few of the most important flagships of the year are missing in action. These include highly anticipated handsets such as the LG G4 and Samsung Galaxy S6, among others. Many Apple fans were also hoping to hear at least a few new rumors about the iPhone 6S during this period, but unfortunately there has been very little chatter surrounding this device as of late. Aside from the HTC Hima, the LG G4, Samsung Galaxy S6, and iPhone 6S are expected to be the most important flagships of the year, but which one will be the best? That’s what we’re trying to find out. LG decided that CES 2015 was not the best time to unveil their next flagship and maybe they were right. The company did however announce the LG G Flex 2, which actually can give us a few clues on what to expect from the LG G4. No, we’re not expecting it to also sport a curved display, although that would definitely be an interesting feature to see. Instead, we’re now certain that the company will equip the flagship with the Qualcomm Snapdragon 810 64-bit processor given that we’ve already seen the CPU on the G Flex 2. It is assumed that LG is going all out here just like they did last year, so we can also expect no less than 4 GB of RAM and an improved 20.7 MP primary camera with OIS on the back. The LG G4 is also expected to feature a 5 MP front-facing selfie shooter, 32/64 GB expandable storage options, and a battery that’s at least as big as the LG G3’s 3,000 mAh unit. The hardware will offer few surprises, all things considered, and LG is well-aware of that. Ken Hong, Director of Corporate Communications suggested during CES 2015 that experimentation is the name of the game here, while also adding that the LG G4 has to be different than its competitors if it wants to succeed. Mister Hong didn’t mention anything specific, but rumor has it that the company’s next flagship will come equipped with a stylus pen, not unlike the Samsung Galaxy Note 4. It’s interesting to note that the LG G4 is expected to sport a 5.3-inch display with the same 2K resolution seen on the LG G3, so it doesn’t seem to be a full-fledged phablet. The company already tried to directly compete with the Samsung Galaxy Note 4 when they released the LG G3 Stylus and it didn’t really work out for them. The stylus pen on the LG G4 will likely be a bonus rather than the main feature, which is a very smart move as it makes for a compact alternative to Samsung’s phablet while also continuing to be a great option for anyone looking for a regular sized flagship smartphone. Some other interesting rumors regarding the device say that we can expect Corning Gorilla Glass 4 protection and Android Lollipop straight out of the box. This is of course not very surprising since CGG4 and Android Lollipop are already becoming the norm. Other notable features should include Wireless Charging complete with Quick Charge 2.0, which will allow users to replenish the battery very fast and without any hassle. As for the release date, we’re likely going to hear all about it during the MWC 2015 in March when the LG G4 is expected to be officially announced and detailed. In any case, the flagship will almost certainly launch sometime during the second quarter of the year. Finally, the price point is still a mystery, as you might imagine, but word on the street is that it should sit at around $800. 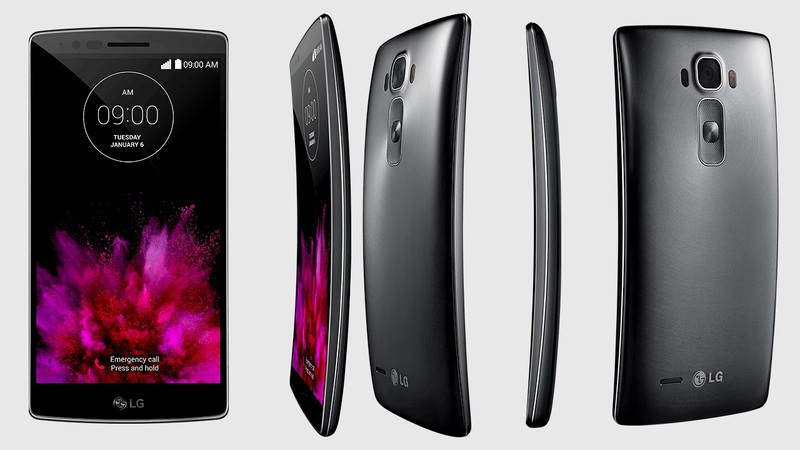 The LG G4 will likely borrow some of the successful features found on the G Flex 2, including the Snapdragon 810 CPU. Another highly anticipated flagship of 2015 is the successor to one of last year’s most popular and well-received smartphones, the Samsung Galaxy S5. So, what can we expect from the other Korean tech giant this year? If even half the rumors turn out to be true, the Samsung Galaxy S6 will be very different than its predecessor, at least in terms of design. Samsung has recently started building more and more metallic smartphones, stating with the Galaxy Alpha and continuing with the recently released Galaxy A series. This trend will culminate with the Samsung Galaxy S6, which will reportedly feature a metallic design and a QHD display of no less than 5.5-inches. Interestingly, there are rumors saying that we might end up seeing a curved display similar to that of the Samsung Galaxy Note Edge. However, a lot of sources argue that the company will in fact launch two versions of the device – a regular Samsung Galaxy S6, along with a premium Edge version. Whichever the case, the design will most likely incorporate Corning Gorilla Glass 4 protection and IP67 waterproof certification. Hardware-wise, the company is said to be building this device “from the ground up”, meaning that some of the most important components will be manufactured by themselves. Specifically, the Samsung Galaxy S6 will reportedly come equipped with the self-made 64-bit Exynos 7420 octa-core processor complete with in-house GPU. In addition, there will be a Qualcomm Snapdragon 810 version as well. The rest of the specs should include 3 or 4 GB of RAM, a 20 MP primary camera, and 32 GB of expandable storage memory. Details about the battery are very scarce at this time, but if Samsung really increased the display to 5.5-inches, they’d better have a huge battery to keep it powered up. Quick Charge 2.0 will presumably be a feature here as well, so charging the device shouldn’t take too long. That said, you don’t want to reach for the charger every two hours either so a big unit would be ideal. We all expect improved specs on the Samsung Galaxy S6 and we’re definitely going to get them, but it would be nice to see some innovative features as well. Thus far, we haven’t heard much about those. There was a rumor saying that the camera will offer an iris scanner, but I’m not sure what you would use it for. Security maybe, although there will likely already be a fingerprint scanner which should do that job quite well by itself. We’ll just have to wait and see. Speaking of waiting, we’ll have to do a bit more of that until we’ll be able to catch a real glimpse of the device. The Samsung Galaxy S6 is expected to make its first on-stage appearance at the MWC 2015 in March where the release date and price are also said to be revealed. As it stands, we think the flagship will release a bit earlier this year and have a price tag of at least $700. However, seeing as how it will be bigger than its predecessor and feature a metallic body, it’s not too far fetched to think that the price will go up by an additional $100. 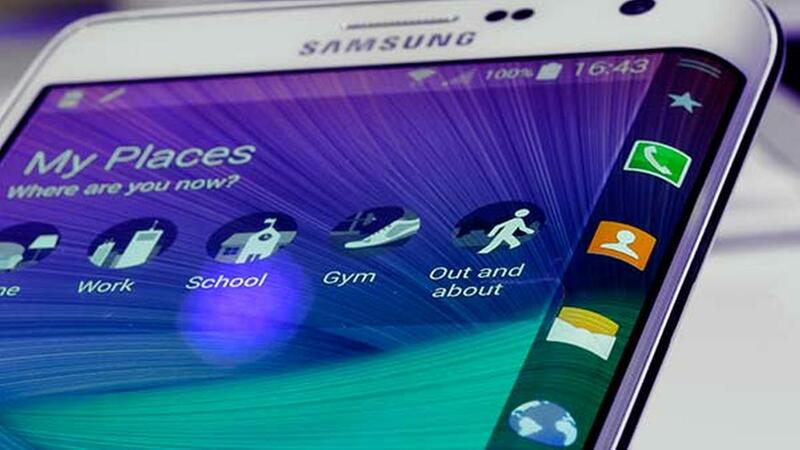 The Samsung Galaxy S6 is rumored to come in an “Edge” variant, just like the Samsung Galaxy Note 4. Now we’re really going deep into rumor territory here. While there is no clear indication that Apple is currently even building this device, that didn’t stop the rumor mill from spreading various pieces of juicy gossip. What we do know for certain is that the Cupertino-based company will indeed launch another flagship this year, with a release date likely scheduled for September yet again. But won’t it be called iPhone 7? Well, Apple is known for skipping a number every other year. For example, the iPhone 5 came out in 2012 and the following year we go two variations in the form of the iPhone 5C and iPhone 5S. If this pattern continues, the iPhone 7 will only be released in 2016 and this year we’ll again see a couple of variations, possibly called iPhone 6C and iPhone 6S. Moreover, the current flagship has a “Plus” model alongside the regular one, so we might actually end up seeing four variants. As for what improvements we can expect to see, perhaps the most notable one will be the new Apple A9 chipset. Manufacturing for the new chip has reportedly already begun and it’s being handled by rival Samsung of all companies, although the Korean giant didn’t confirmed this just yet. Compared to the 20nm A8 chipset found on the iPhone 6, the A9 said to use 14 nanometre FinFET technology. Another hardware-related rumor talks about the primary camera and how it will make the “biggest jump ever.” The shooter will apparently make use of some sort of dual-lens sensor capable of offering quality that rivals DSLR. If true, we might only see this on the iPhone 6S Plus as Apple is expected to again save the best tech for the bigger variant, just like they did with their current flagship. From a visual standpoint, we shouldn’t expect a whole lot of changes, although there are rumors talking about an overhaul complete with very thin body and no bezels. Sounds really good in theory, but I think that a design such as that will probably be saved for the iPhone 7 or iPhone 8 rather than for the iPhone 6S. Speaking off, wishful thinkers out there are speculating that Apple may in fact release two smartphones (excluding the Plus variant) each year moving forward. Specifically, the iPhone 6S update might see the light of day this summer in order to compete with the LG G4, Samsung Galaxy S6, HTC Hima, Sony Xperia Z4, OnePlus Two, and all the other Android flagships. Then, the iPhone 7 could be launched in September as per Apple’s usual yearly schedule. Needless to say, iPhone 6S Plus and iPhone 7 Plus variants should also launch around those times. This is certainly a good plan if you ask me, but it’s little more than just speculation at this time so take it for what it is. In terms of price, I’m not seeing Apple launching any cheaper smartphones any time soon, quite the opposite if some of these improvements end up happening. In other words, make sure you have anywhere between $800 and $1000 saved up by the time the iPhone 6S or the iPhone 7 launch if you plan on buying the next Apple flagship. 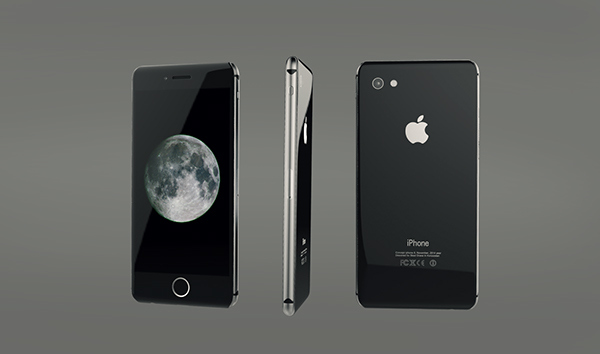 Beautiful concept art depicting the iPhone 8 courtesy of designer Steel Drake. Could the iPhone 6S or iPhone 7 end up featuring a similar design? We expect a very fierce competition between these three manufacturers this year. As usual, it will all boil down to individual preference, but I suspect that Apple will continue to sell more smartphones than its rivals thanks to their increasingly powerful brand. Both the LG G4 and the Samsung Galaxy S6 will undoubtedly offer more impressive hardware than the iPhone 6S (and iPhone 7 for that matter), but then again, they really have no choice. Competition on the Android front is fiercer than ever and there will be plenty of good flagships to choose from besides those two. That being said, a lot of customers are becoming less interested in specs nowadays and are simply looking for something that stands out from the crowd. I think the real winner here will be the smartphone that is able to offer something truly innovative and different. At the moment, my money is on the LG G4, but who knows, the Samsung Galaxy S6 or the iPhone 6S might end up surprising us all, though I kinda doubt it.